I've always found travel pictures of India fascinating and wanted to travel there. 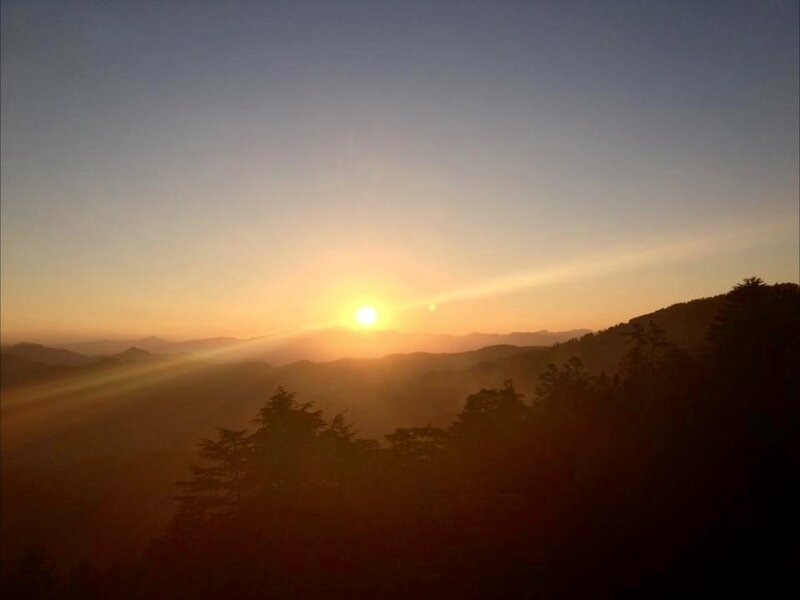 On looking through travel inspiration online I saw that the Delhi/Agra/Jaipur trail was called the Golden Triangle and started looking at how we could organize this ourselves and add Shimla into the mix. Our trip began by flying into Jaipur and staying at the Fortune Select Metropolitan which was opposite a Mall and great for shopping. We had a driver and guide the whole time so we were very well looked after and did not have to worry about logistics at all. We did the usual tourist sites, Palace of the Winds, City Palace and the Amber Fort. Loved Palace of the Winds the best, the pink stone and all the windows so you could get a feel for the Harem life where they could look out of the windows but those outside could not see them. 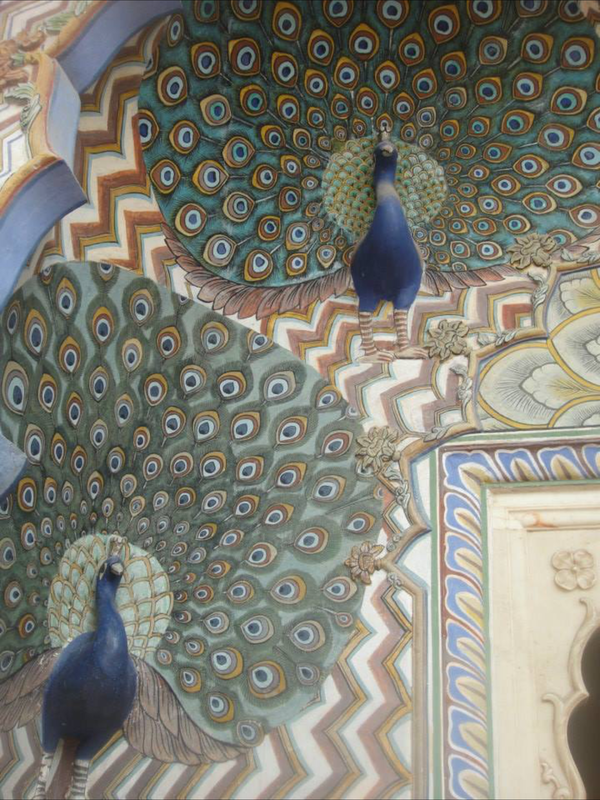 The City Palace had beautiful doorways covered in craftsmanship with ornate peacocks and other symbols. Opposite the City Palace is the Jantar Mantar observatory which is worth a stop too to see 18th century sculptures with an astronomical function. The Amber Fort had some beautiful craftsmanship the most memorable being the tiled cream and mirrored walls. There seemed to be a holy day when we were there as all the local people were wearing their best clothes and were very colourful. 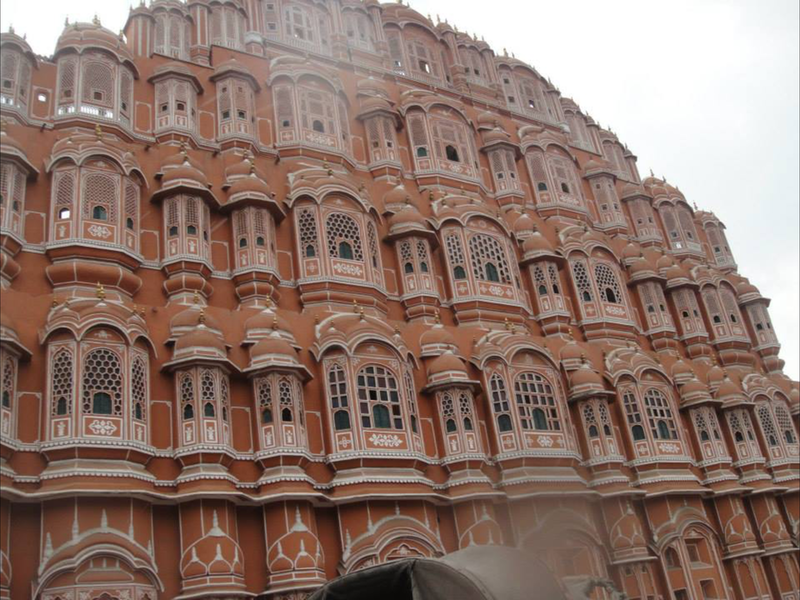 Jaipur was a fascinating place with such a lot of historical sites to visit, and also had a modern side with Malls and restaurants. I would recommend visiting Jaipur if you are interested in history and also textiles as I bought a lovely sari there. On leaving Jaipur we stopped at the Monkey Temple (Galta Ji) which is a Hindu holy place for their God Hanuman. It was very interesting and has different levels and pools. On climbing to the top we met the priest who invited us to see how he lived and how he prayed each day. On leaving I realized one of the monkeys had taken one of my flip flops which was a nightmare because the steps were really dirty. We could not see it anywhere. So the priest went out and found it, seems that he knew where the monkeys would put something they had taken a liking to! As you can imagine this gave us belly laughs and was definitely a memorable moment on our travels. This temple is definitely worth a stop if you are in Jaipur but you do have to like monkeys! Our driver took us all the way to Agra which is a very long drive but India is just so interesting and different it is impossible to get bored. We passed the city and drove through farms and even then the ladies wore beautiful bright colours. On arrival at Agra we stayed at the Orient Taj Hotel and Resort and had a lovely room with a courtyard outside. There was a pool to relax by after such a long journey. 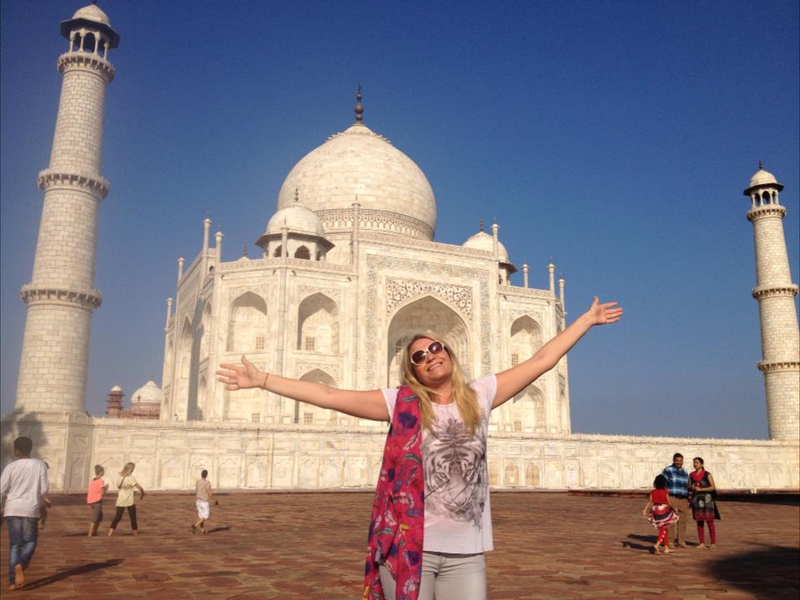 We decided to go and see the Taj Mahal twice once at sunset and once at sunrise. 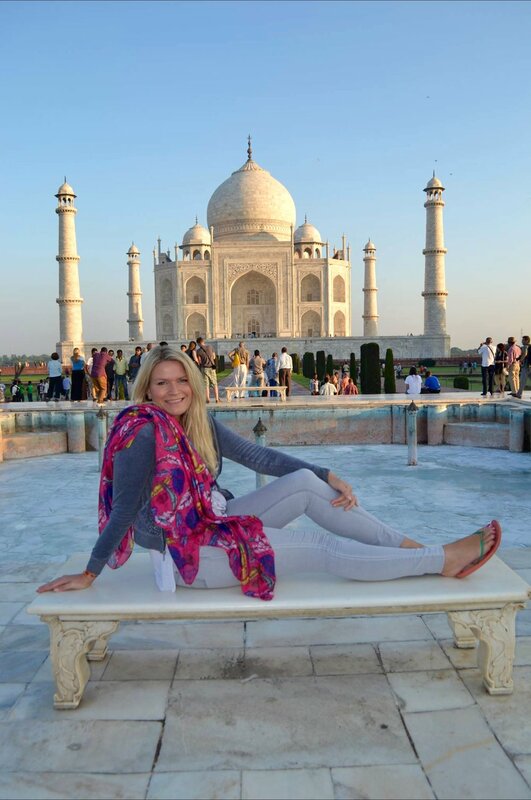 We found just before sunset the Taj was bathed in a pink glow so the pictures were quite different. We hired a local photographer who was worth every penny because he knew every single place to get the best shots. The Taj is just so beautiful and even though it gets packed with so many people you still get a feeling of peace. We headed to Shimla from Agra into the Himalayas. 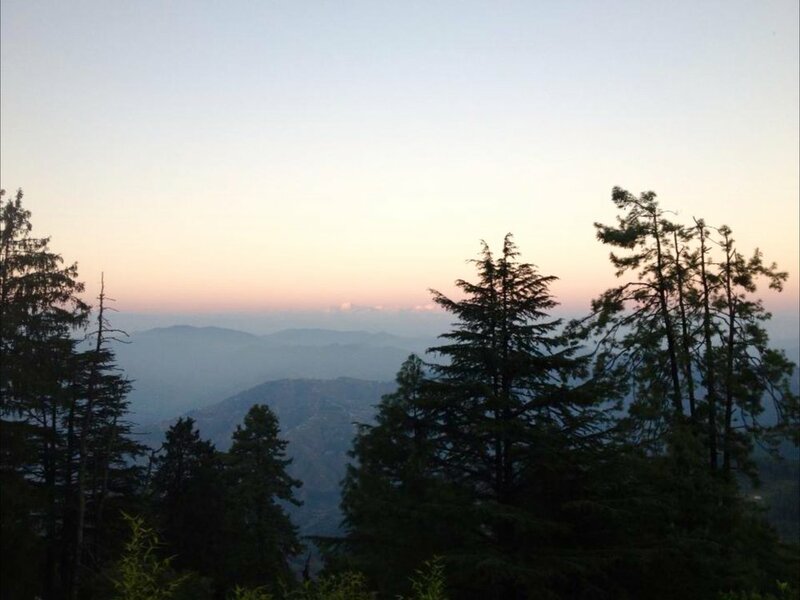 We stayed at the Oberoi Wildflower Hall Hotel which had a wonderful view over the mountains. The jacuzzi was amazing, again with a beautiful view over the mountains and feeling the fresh cold air in the hot jacuzzi whilst drinking a glass of wine, with a huge golden eagle circling above was quite an experience. Took a walk in the nearby forest and also had a day in Shimla to go shopping in the local markets. Shimla really is a beautiful place away from the grimy city. On leaving the Oberoi we found out that our flight to Delhi had been delayed so we had to stay the night in Chandigarh. On arrival at the hotel we found it was full of security as the cricket team were staying there. It was quite strange to get in the lift and find two security guards on each level with a shotgun! On arrival at Delhi we stayed in a lovely hotel called the Roseate which is slightly out of the city near to the airport but just a total haven away from the relentless city. It was just so modern and has a great restaurant in there shame we couldn't have stayed longer. I decided to be vegetarian during this trip and the food was amazing with so much choice and very fresh. I did not become sick on this holiday once and would put that down to the quality of vegetarian food I ate. 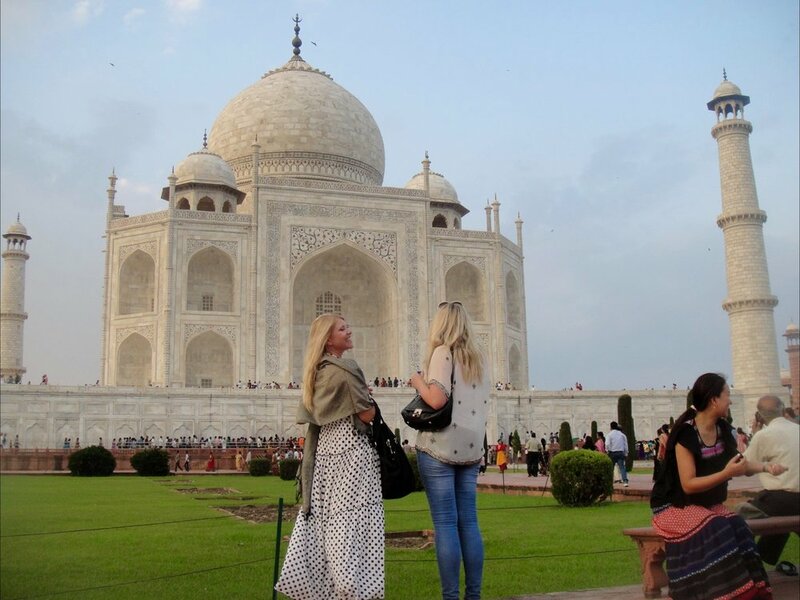 There are so many more places to see in India and will definitely go back as this first trip was just so memorable. I loved the food, the bright colours and how women dressed in gorgeous clothes. So many different languages and religions in one country, it's just so interesting! Of course the disturbing thing about India is the slum poverty which we didn't see much of in Jaipur but quite a lot around Agra where there are large tips of rubbish with people living amongst this. However I could still see hope in these places with the bright coloured clothes and children having fun.